Feminine with an edge, Hayley Paige bridal gowns are fresh, lively and confident. Ever so eclectic, the designs capture a whimsical and charming aesthetic that balances inner ingénue and sophistication. Join us for our trunk show for the new collection from Hayley Paige and receive up to $500 off orders placed during the trunk show! 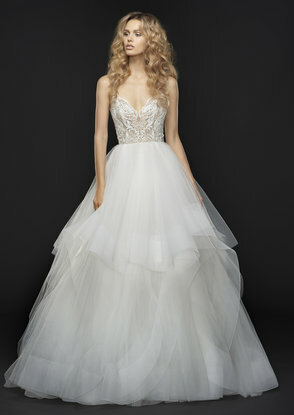 Hayley Paige gowns range from $3,000 – $6,500.